I have written about why organizations and companies have brand & style guidelines and the steps to building your own visual brand identity. Now, I would like to take you through a recently finished identity project for Tau Beta Sigma National Honorary Band Sorority. 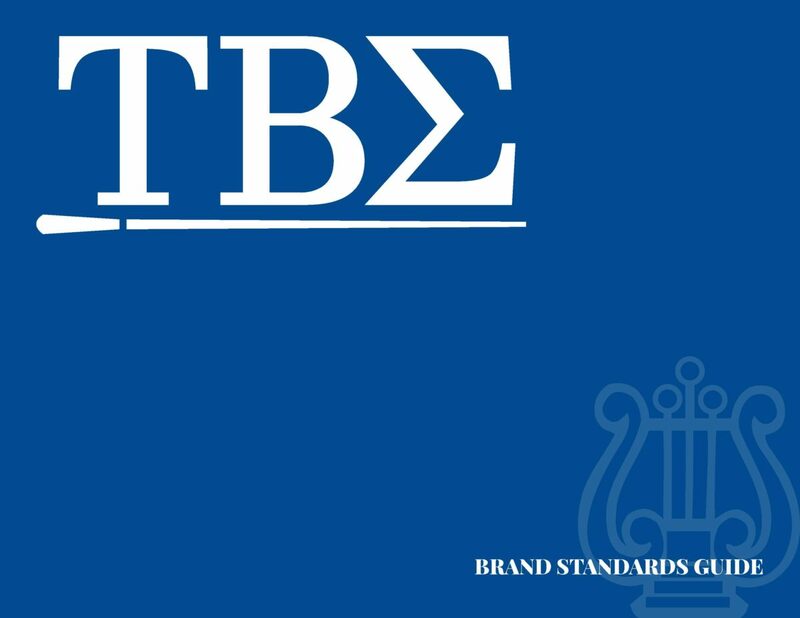 Tau Beta Sigma is a co-educational national honorary band sorority dedicated to serving college and band programs. Tau Beta Sigma operates primarily as a student service and leadership recognition society whose chief aim is to assist the Director of Bands in developing the leadership and enthusiasm that they require of their band. Crafting a visual brand identity is not an easy task, especially when you doing it for a large national organization rich in history, relevance, and influence. These visual assets will help tell an important story and must resonate with sisters (active and alumni), the band community, and the public at large. Getting to this point involved conversations, directives, and insights from the National Council, Board of Trustees, and the Alumni Association. This playbook will educate sisters on how to properly communicate the mission, message, and personality of Tau Beta Sigma. This one is inspired by my work and my presentations for Kappa Kappa Psi & Tau Beta Sigma. Engaging your fans and alumni is very important. They have the capacity to be your greatest champions, financially and otherwise. If your band or chapter is in need or striving for a particular goal, it is crucial to gain as much support as possible. Opportunities can also open up to you, when people take notice of the influence you have and the power you wield in the community.